Original design is laser cut in the United States from stainless steel. Jason hand-finishes each comb to a satin finish, adding a leather strap and cherry wood tag before packaging. 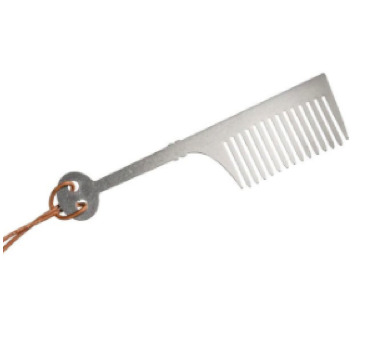 Comb measures approximately 3.5 inches in length.